We are excited to announce that Derma Medical are now offering Cosmetic Injectables Training Courses in Perth as part of our ongoing expansion in Australia. This is alongside the same great cosmetic injector courses we offer in Brisbane, Melbourne and Sydney as well as internationally at our training academies in the United Kingdom, Sweden, and United Arab Emirates. Our courses are perfect for Doctors, Dentists, and Nurses looking to start practicing in Dermal Filler & Anti-Wrinkle Injections. Our internationally recognised courses will equip you with the knowledge and skills to carry out the most commonly requested cosmetic injectable treatments confidently upon completion of your training. Because of our practical approach to teaching, we require over 30 live cosmetic models for our 2 day combined course. All of these treatments are available to book as a cosmetic model in Perth. All of our course delegates are qualified medical professionals and will have already gone through the theoretical material on the day. All treatments will be administered under the close supervision of our expert trainers, so you’re in safe hands! Anyone aged over 18 can be a cosmetic model. Follow the links to view and book our dermal filler and anti wrinkle treatments, or visit our cosmetic models page to find out more. 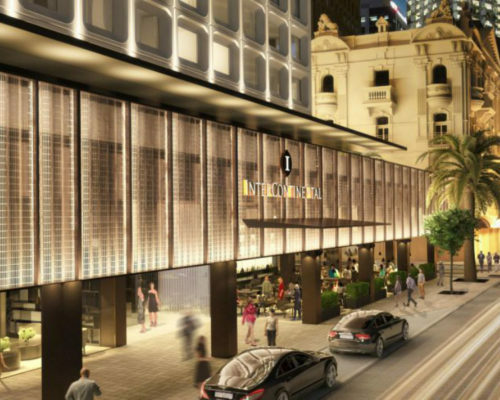 Our training courses will be provided at the luxurious Intercontinental Perth City Centre. It is situated in a great location. Discover the neighbourhood with international designer boutiques lining the King Street precinct, laneway bars, theatre and art. Those attending an event at the hotel will find The Gallery Meeting Suites to be a place that inspires conversation and creativity with natural light, innovative menus and indoor / outdoor flow to the terrace overlooking Hay Street. 815 Hay Street , Western Australia : Perth ,6000, Australia. Parking is available at the hotel, charged at $35 per day. There is also valet parking available if required. The closest station is the Perth Underground. It is then a short walk down William Street, followed by turning right into Hay Street. The hotel is located towards the end of the block on the left hand side. Alternatively the closest main line station is Elizabeth Quay Train Station located only a 10 minute walk away from the hotel. The nearest bus station is located on Hay Street. The Intercontinental is then only a short walk down the street, located on the left hand side.